Amino acids are the building blocks of proteins. 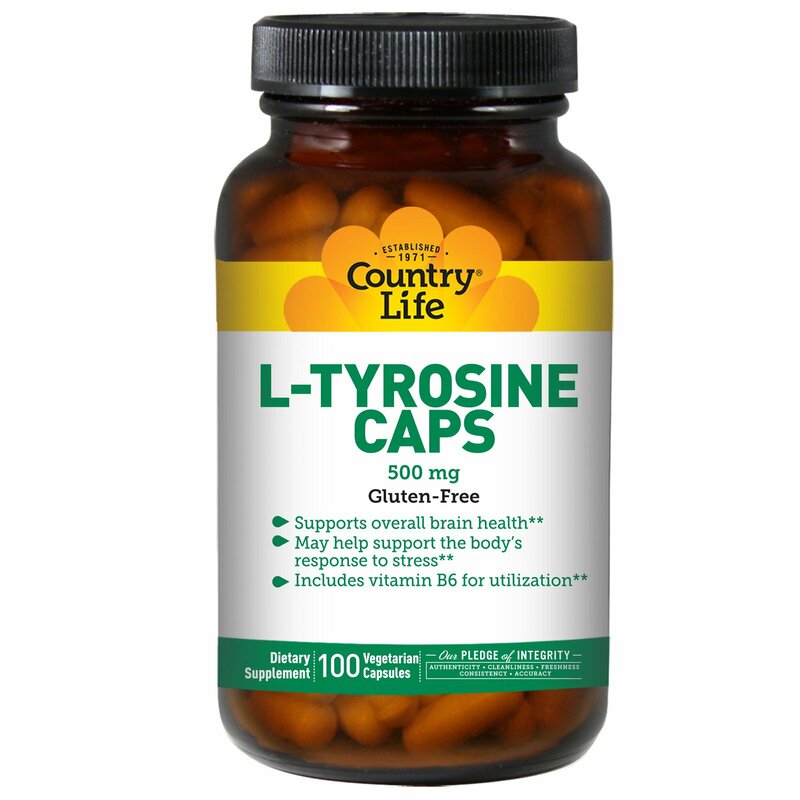 L-Tyrosine is an amino acid that supports the production of brain neurotransmitters dopamine and norepinephrine. 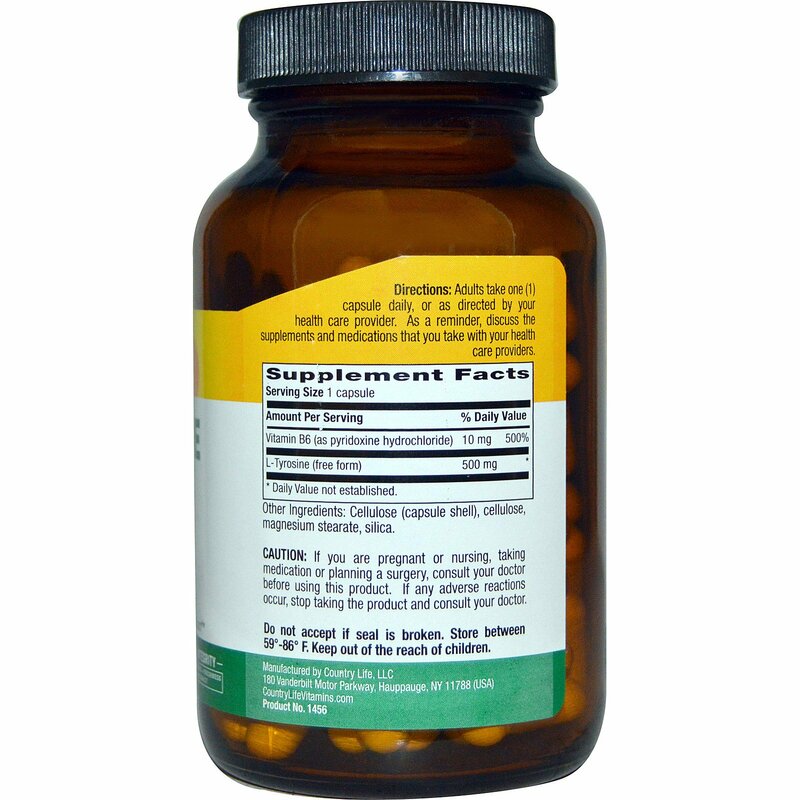 Country Life uses vitamin B6 to aid in utilization. Directions: Adults take one (1) capsule daily, or as directed by your health care provider. As a reminder, discuss the supplements and medications that you take with your health care providers. Cellulose (capsule shell), cellulose, magnesium stearate, silica. Do not accept if seal is broken. Store between 59°-86° F. Keep out of the reach of children.